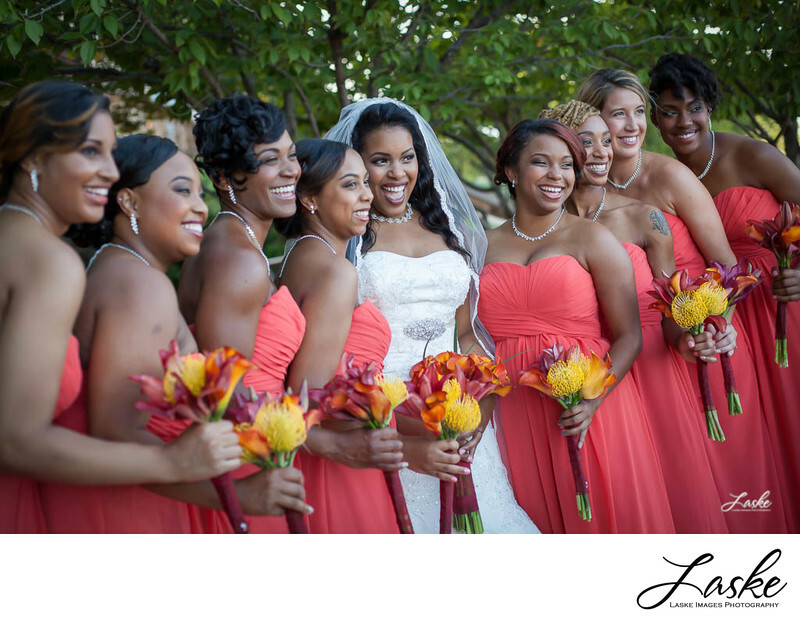 Beautiful Bride laughing with Bridesmaids during wedding photo shoot. Holding yellow, red and orange bouquet. 1/320; f/2.5; ISO 100; 50.0 mm.